Get the low-down on what’s good in the 'hood. In 1971 a three-storey building on Commercial Road in the heart of Port Adelaide was vacated. The then-tenant, Ezywalkin shoe retailer and manufacturers, had just been bought out by an interstate company and no longer needed a base in the Port. “That was the same year that all containerisation was introduced to South Australia, which brought with it, the greatest change the world has ever seen in the handling of goods,” explains raconteur and current owner/occupier of the the building, Graham Rees. This article was created in collaboration with the City of Port Adelaide Enfield, and based on CityMag’s ongoing interest in the Port Adelaide area. “[In] 1971, containerisation was introduced to Port Adelaide and by 1981 the Port had gone to sleep,” Graham says. In 2019 though, the Port is waking up. Thanks to people like Graham and Judy Rees who established Port Art Supplies in the old Ezywalkin shoe store, there are signs of life returning to ‘Black Diamond Corner’ – the intersection of Commercial Road and St Vincent Streets. 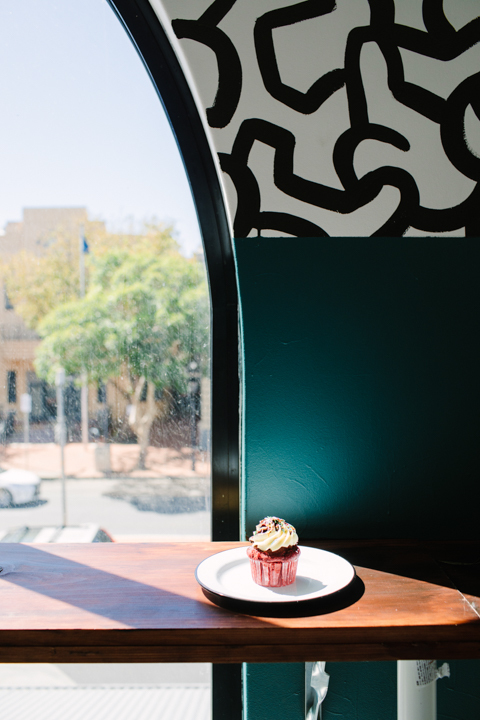 To celebrate the renewed energy and optimism, we’ve collaborated with the City of Port Adelaide to shine a light on some of our favourite businesses in the area and give you a decent and dependable (albeit far from definitive) Port Adelaide Guide. “The pub is a big thing,” says Port Adelaide resident Dana Ashford. Dana bought a loft apartment in Port Adelaide with his wife, photographer Jessica Clark, three years ago and says the change in that short time has been remarkable. “Just putting the lights on at the Port Admiral has made a difference,” he says. 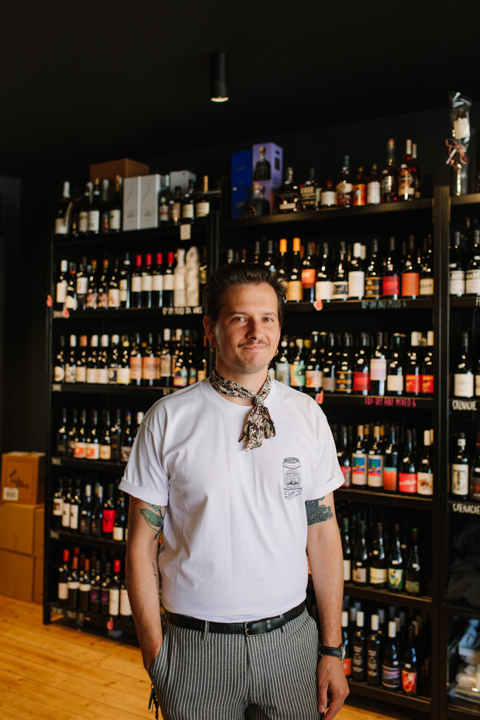 Dana has recently taken over managing the Port Admiral Bottle Shop, a tiny adjunct to the historic hotel that was re-opened by Alison Sloley and Adam Freeman. Alison and Adam started in on restoring the pub before connecting with proprietor of nearby American BBQ restaurant, Low & Slow, Angus Henderson. Angus got together with a syndicate of friends and took the lease off Alison and Adam’s hands and re-opened the Port’s oldest hotel in November 2017. Relationships are at the core of what makes Port Adelaide so promising. Pirate Life Brewing worked with the owners of the Admiral to develop a specific beer, a lager called Port Local, that would celebrate the pub’s reopening. In the background, however, the beer foreshadowed Pirate Life’s interest in building a brand-new, state-of-the-art brewery on Barlow Street, Port Adelaide. Co-founder of Pirate Life, Jack Cameron is difficult to pin down as he and the entire Pirate Life team sprint towards the brewery’s opening but he confirms production will almost quadruple, creating 80 jobs as a result. Pirate Life will act as an anchor tenant in the Port. Click on the Pirate Life heading above to read all about the craft brewery’s big expansion and what that means for the business and South Australia in general. Its refurbishment and adaptive re-use of the old wool stores will no doubt inspire other innovative thinkers to reconsider Port Adelaide’s brand and potential. Jack tells us about plans to collaborate with Adelaide Metro and create a “Pirate Life carriage” on the Port Adelaide train line, where visitors can sample beer on their way down to the Port. With several different beers to try – all in the one place – CityMag can only suggest public transport as the most responsible approach to A Day on the Cans. A $16 million rail branch line will bring the train from Adelaide into the heart of the residential precinct and plonk people down right outside the brewery, a short walk from the new residential development, Dock One. The 750-home development by South Australian company Starfish has revealed its branding for Dock One, which is inspired by the shapes of the International Code of Signals used on shipping flags to communicate important messages between boats and the shore. It’s a small gesture like this that indicates people are starting to ‘get’ the value of Port Adelaide’s unique identity and culture. Daniella Guevara Munoz is a marine biologist on an indefinite break from science. 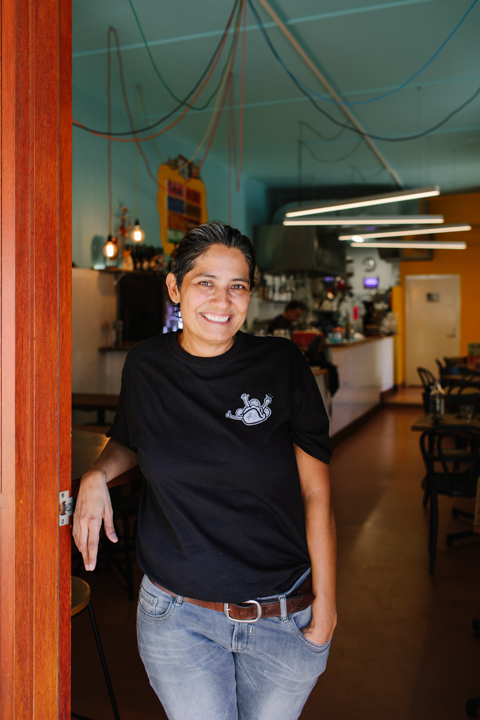 She moved to Semaphore seven years ago with her marine biologist husband and together they started hosting intimate dinner parties for anyone interested in trying Daniella’s native cuisine – Mexican. “We had a website, we published the date of the dinner, the menu and suggested a donation and people came to our house to have dinners. I did that for four years,” says Daniella. Daniella now serves people at her restaurant, La Popular Taqueria on St Vincent Street, which she opened a year and a half ago. People travel from all over Adelaide to try her authentic Mexican cuisine. 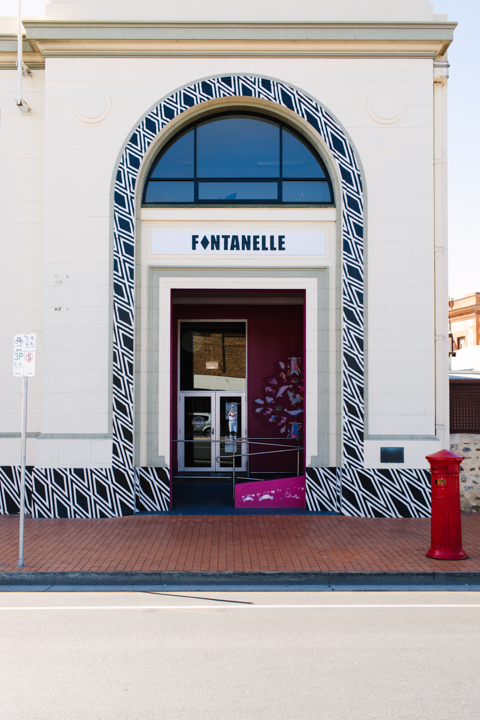 With the Tour Downunder kicking off Port Adelaide Enfield’s cultural calendar of events in 2019, the buzz hasn’t stopped since with Fringe filling out February and the massive street art festival Wonderwalls wrapping up March. Whether you’re coming for a specific event or just keen to check out some new places, Port Adelaide has some incredible spots to visit. Created by Lisa King and Jarrad Jackson Cult & Harper is an art gallery, studio space, retail store, and cultural hub on St Vincent Street. 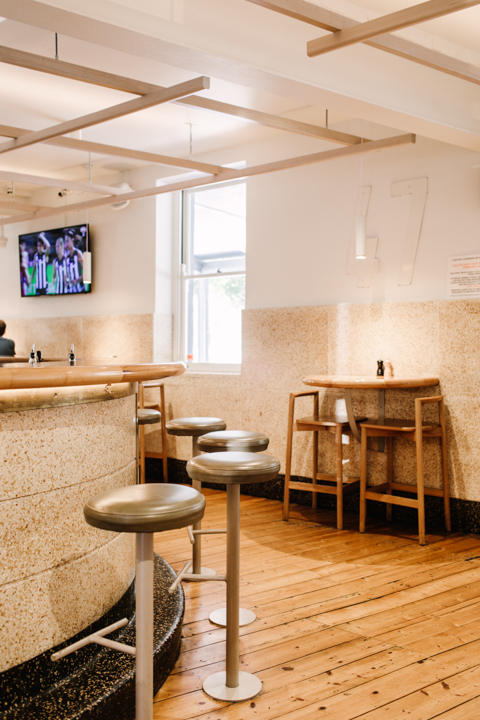 A versatile business model allows Lisa and Jarrad to welcome new commercial collaborators into their food and drink spaces as well as program an impressive roster of art shows across the year. Read more about the space’s genesis. Built on stilts over the Port River, Folklore Café started life in ‘The Annexe’ as part of Renew Adelaide’s program to rejuvenate dormant spaces in the area. Folklore has filled such a key spot in the Port and provides a truly unique experience as well as insight into the new culture forming here. Excellent coffee (with De Groot beans) and a seasonal menu, Folklore does well to bring good coffee to the Port. Starting out life in Bowden, Fontanelle contemporary art gallery and studios moved to the Port in 2017. With an exterior painted by visual artist Sam Songailo setting the mood, the exhibitions you’ll find inside push boundaries and challenge norms in the way contemporary art should. Open all day and into the evening, the Port’s public wharf is the perfect place for a self-made picnic or take away meal from the numerous restaurants nearby. Jutting out into the river, these little jetties get you on the water and close to the Port’s marine life. Watching the sun set behind the Birkenhead Bridge and scoffing some fish and chips is one of the best things to do here and it’s free. 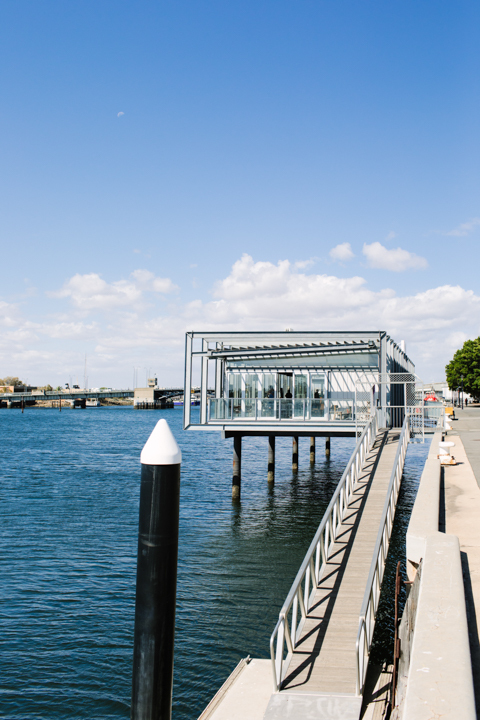 The Wharf is accessed via entry points and gangplanks on the northern side of the Fisherman’s Wharf Markets. Last, but by no means least in the Port, Low & Slow American BBQ is heaven for meat eaters. In the tradition of Texas-style BBQ, this restaurant specialises in tender and abundant portions of meat, mac ‘n cheese, collard greens and a fine selection of local craft beer and whiskey from around the world. They cook all day and then serve all night, and the low key looking place burns brightly with two seatings (one at 6:00pm and the next at 7:30pm) which are regularly booked out. 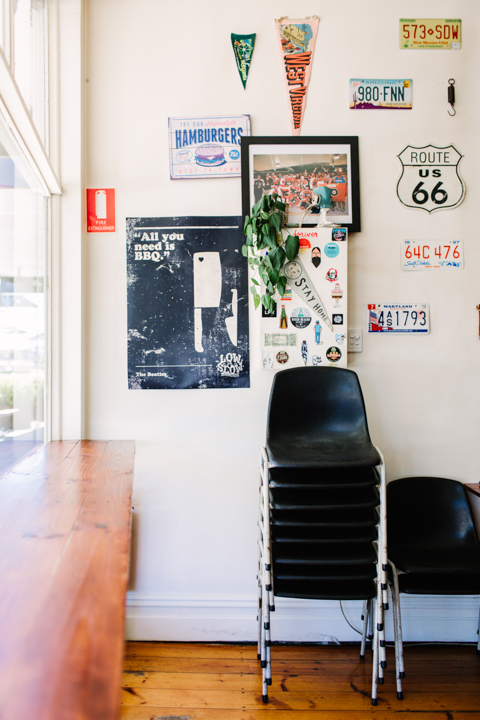 This restaurant is one of a kind and one of the best in South Australia, let alone the Port.